Best of all we are a mobile reptile show so we come to you! Experience has shown that learning and enjoyment come together with hands on participation. 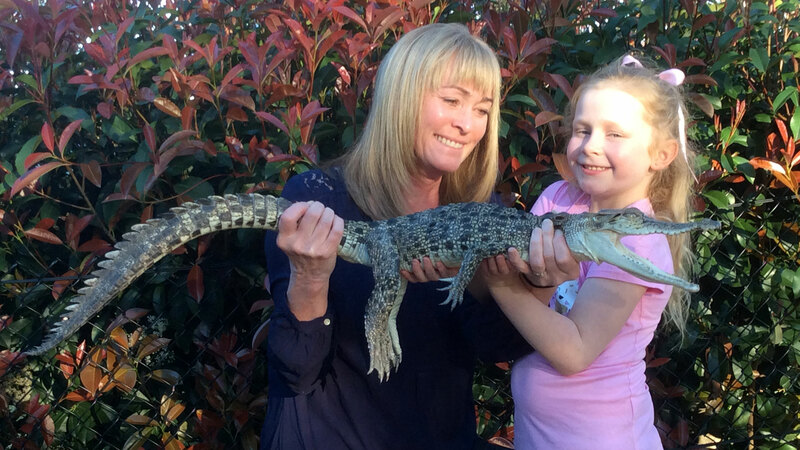 We encourage our audience to be as hands on with our animals as they are comfortable with. 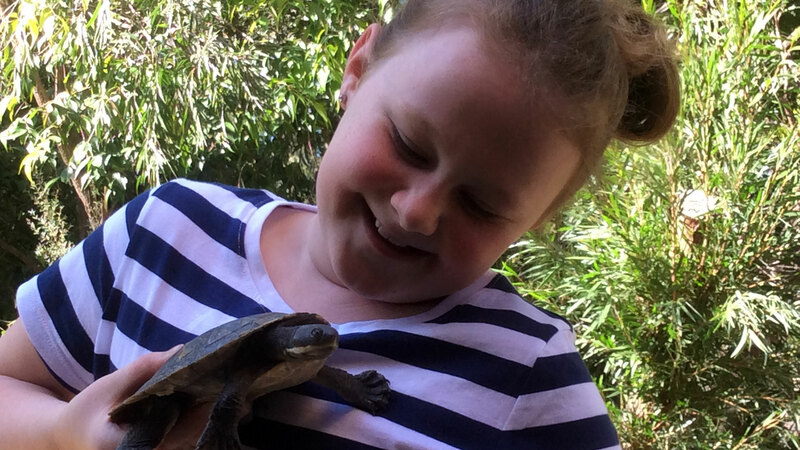 You will have the opportunity to touch our animals and observe their behaviour. We can incorporate a Q&A and you will learn a great deal about our animal's natural history and unique traits. Our aim is to fascinate, inspire, educate and encourage a love for our reptile and amphibian friends and their environment. Some of the friends you will meet during a Reptiles Up Close! 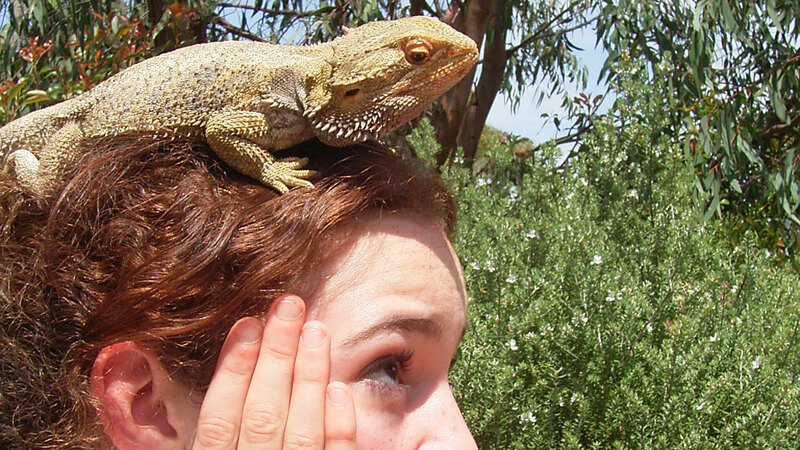 show include a Blue Tongued Lizard, Shingleback Lizard, Cunningham's Skink, Bearded Dragon, Freshwater Turtle, Green Tree Frog, Children's Python, Olive Python and Saltwater Crocodile! Booking is easy! You can either call Brett directly on 0410 629 667 to discuss your needs and confirm a time, email us or complete our contact form.